People celebrate Mother’s Day on various days in many parts of the world (you can be surprised how many different dates are there > Wikipedia). Mother’s Day in Poland happened last week (26th of May), so I decided to make a card for my special lady. I was thinking to use tulips as a main theme (they are very popular flowers on that day) and a heart to add a pinch of emotion into it :). The layout I’ve used here is pretty universal so it could be used for other occasions too. I’ve made few variations so that you can find inspiration with different colors. Enjoy and don’t forget to like it, subscribe or comment under the post. And always thank you for reading! Step 1. Prepare a base for the card. It can be just one colour card with a contour of the heart made with strips of paper or the shape of the heart can be cut out from different colour paper (in my case it is white base and creamy colour of the heart) and then decorated. Step 2. Making the heart is almost the same as in one of my previous posts ‘Dog lovers‘. The only difference is that I have added a few strips on each side of the heart. Step 3. 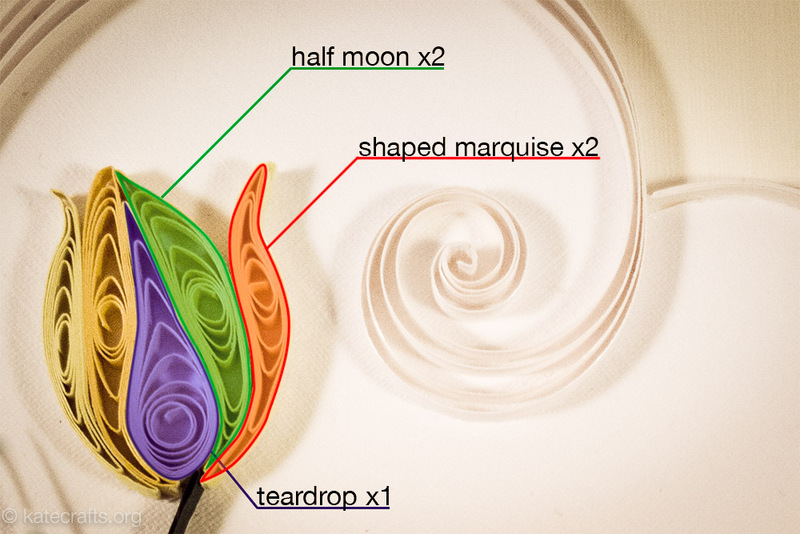 To make the tulips make 5 different sizes of coils and shape them into the teardrop, two half moons and two shaped marquises/diamonds (see below picture for more details). The shapes depend on what kind of tulips you want to make. All 5 shapes can be put together with the glue in hands or straight onto the card. Step 4. Make a stem and leaves. 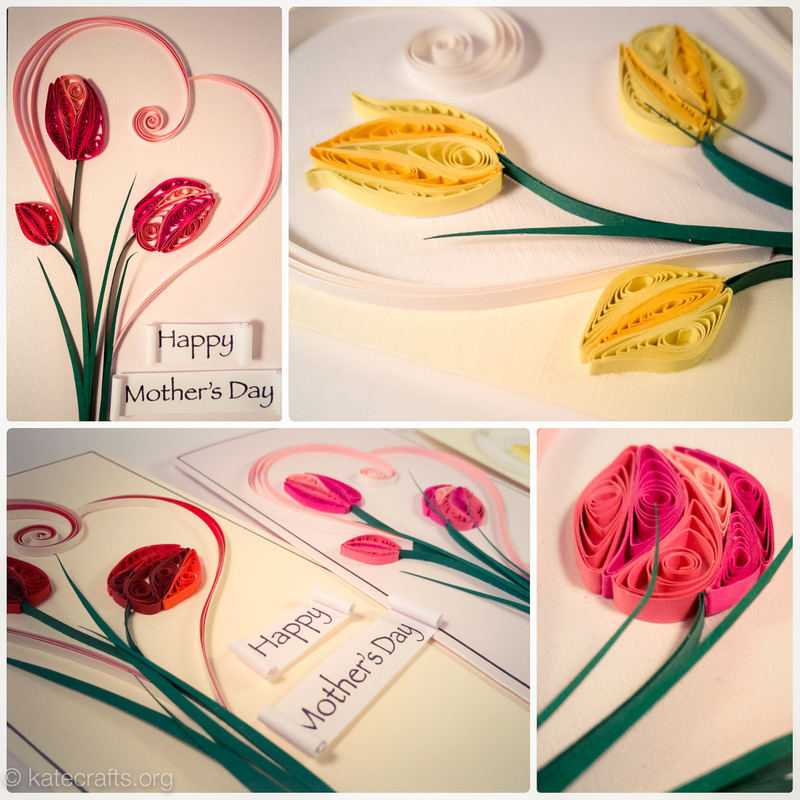 I recommend to make the stems with a thick paper strip or just double strip. As for leaves, cut out the shape out of the green paper. Previous Post M like Maggie aka the Birthday Girl.